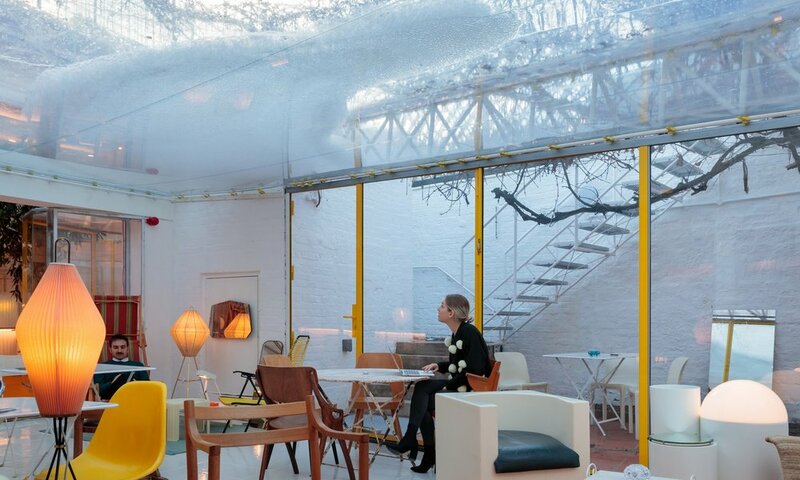 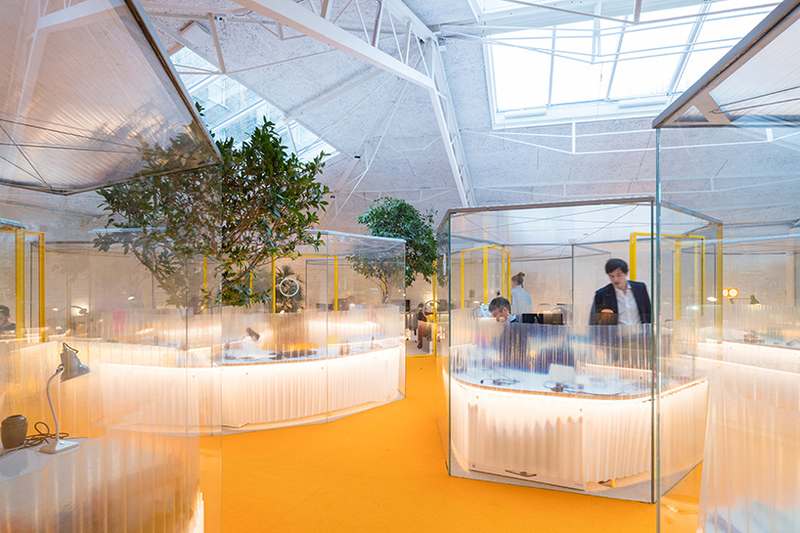 Designed by Selgascano & commissioned by Second Home, this project represented a higher-end product as compared to the other Second Home workspaces. 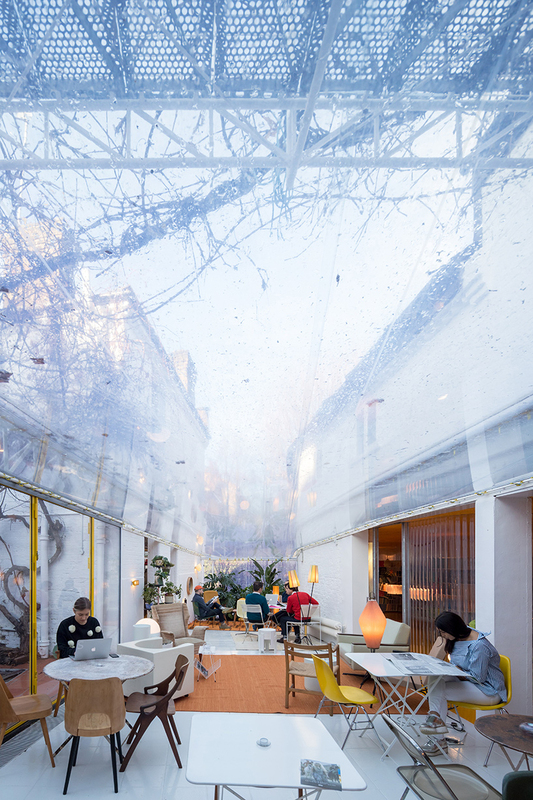 The location in the city and clientele in this part of London meant is reflected in many ways in the layout of the space. 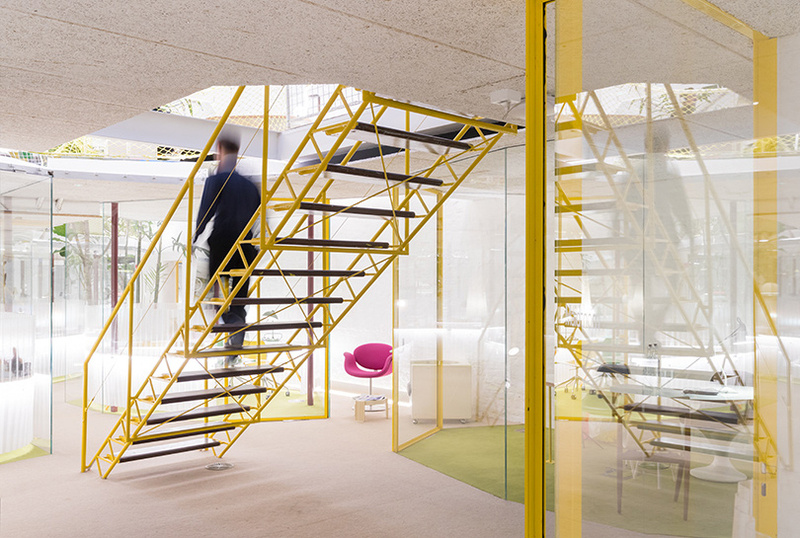 Smaller teams with more sensitive information meant that smaller—yet more private—studios dot the ground and new mezzanine floors, with a continuous hot-desking table and indoor-outdoor café space comprising most of the communal areas of the project. 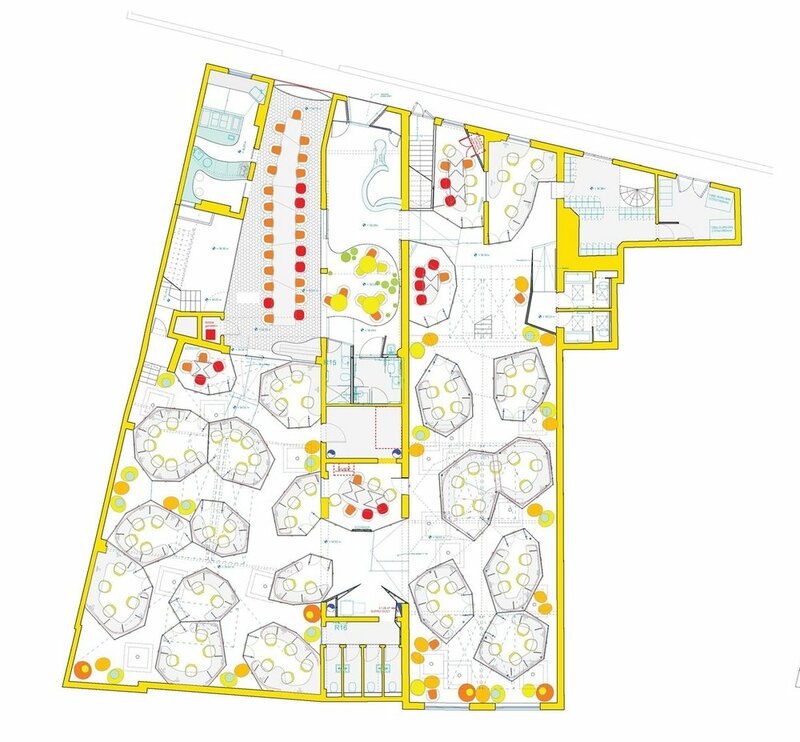 Further, a branching strategy was devised to facilitate the accommodation of larger teams as well as the growth of existing ones—void space between studios was leveraged both as workspace and as private ‘outdoor’ space for larger companies.